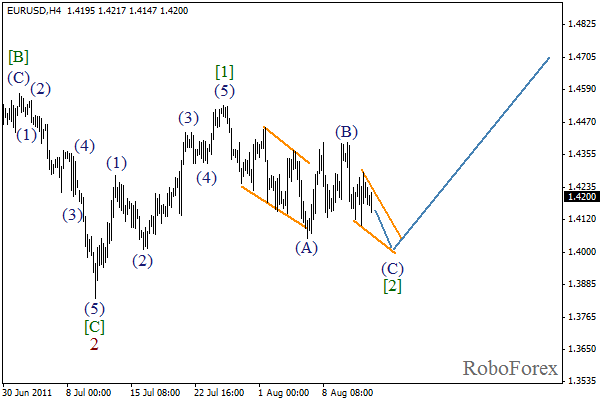 We may assume that the corrective fourth wave is being formed at the moment. There is a possibility that after such a significant growth the price will make a significant descending movement inside wave  of 5. However, if the price continues growing during the day, this scenario will be cancelled. 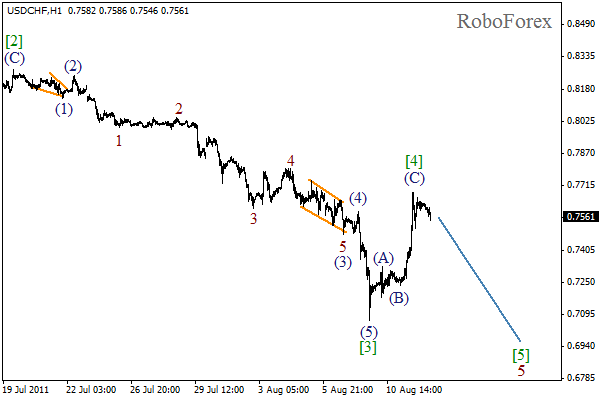 Most likely, wave  is taking the form of zigzag pattern, with wave (C) inside it. In the near term, we can expect the start of the fifth wave. 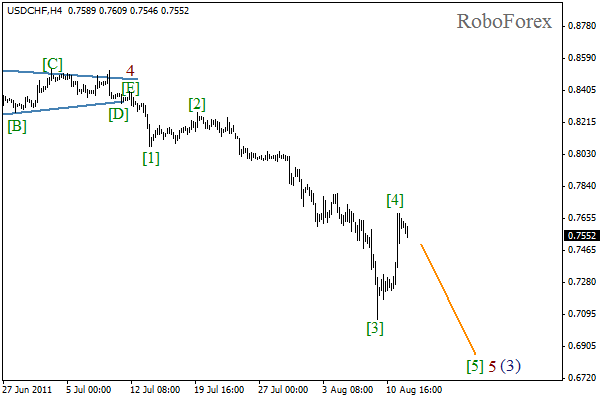 If the sideways trend continues, it will only be in favour of this count. If the price starts growing again, it will be a signal to change wave markings. We may assume that zigzag pattern inside wave  is about to complete. 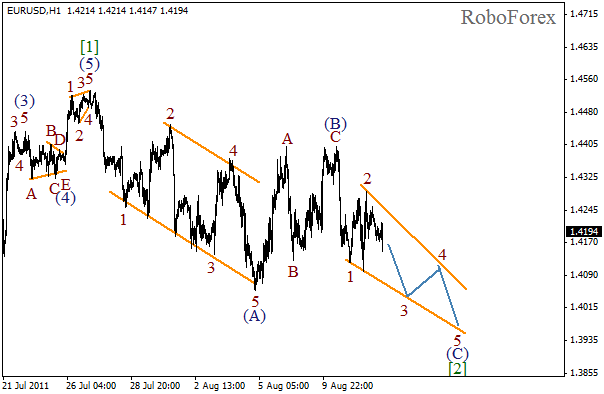 This pattern is quite rare, as it started as wedge in wave (A) and will be completed as diagonal triangle in wave (C). The forecast of price movement is shown on the chart. In the near term, we can expect the correction to be finished and the price to start growing in the third wave. More detailed wave markings are shown on the H1 chart. We may assume that wave 3 started inside diagonal triangle, and the formation may continue during the next several hours. Wave (C) may be completed at the start of the next week. Initial bullish impulse will be a signal to enter longs.